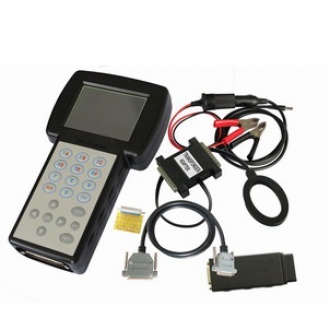 DATA SMART3+ is a hand-held multi-function programmer for digital odometers, airbag modules, car radios and car immobilizers. CCD-BUS / ISO9141 / SPI protocols in one multifunctional interface. 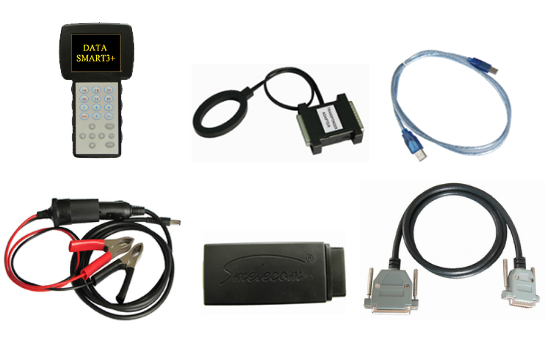 Immo full package: Main hardware,Transponder adapter, OBD cables, USB cable, Power cables, with full soft. software: OBD functions for Immo are all active . 1.Make dealer keys by Megamos48 chip (using transponder adapter). 2.Key learning by OBD2 (not need code , not need online). 3.Cover all VW / SKADA / SEAT cars that use NEC+24C64 or NEC+24C32 or Micronas or 9s12xhz512(1M80F) MCU in dashboard.